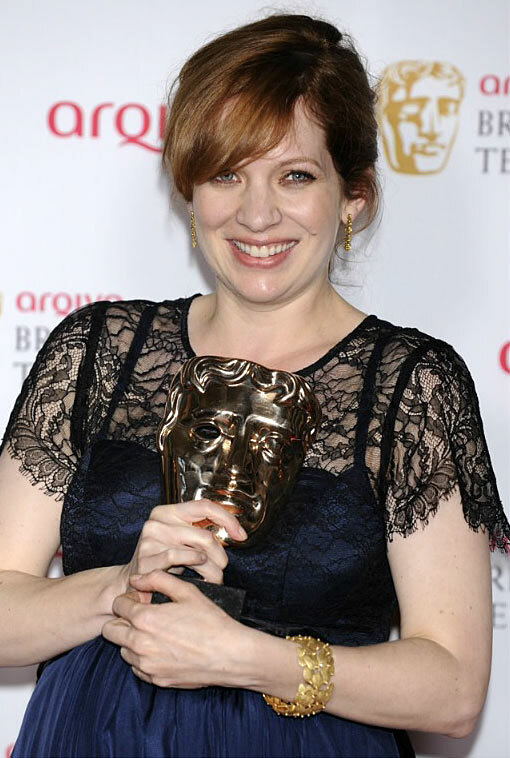 Last night was the annual BAFTA Television Awards, and several of my fave actresses were nominated in various categories… though sadly my crossed-fingers failed to bring two of them a win. Then again, I question the validity of any TV awards ceremony that refuses to honour Game of Thrones with a single nomination! Tch! The inestimable Helena Bonham Carter (Burton And Taylor) lost Best Actress to the ubiquitous Olivia Colman (Broadchurch), who gave a very sweet, sobbing acceptance speech, that made me a little teary too… though Norton’s follow-up comment about her “showing off” was a welcome relief, after all the crying she does both on-screen and off! I was disappointed to see Shirley Henderson (Southcliffe) losing Best Supporting Actress to Sarah Lancashire (Last Tango In Halifax), though I haven’t actually seen either of their shows… I just enjoyed Henderson’s clip more than Lancashire’s! In happier news, a fancy BAFTA Fellowship Award went to the wonderful Julie Walters, for all of her fine acting work over the years… and many more to come, I’m sure. Having the lovely, lovely Celia Imrie there to introduce her was an unexpected bonus, so hurrah for them both! Not an official category, but in my own head I gave the Best Dress award to Oona Chaplin, who appeared as a presenter wearing a very colourful frock*… though Best Hair has to go to Sheridan Smith, who was sporting a pink quiff with shaved sidies, for reasons which have yet to be explained (her Twitter statement on the subject simply reads: “For those of u confused by my hair.. u shall see..” [sic]). I’m guessing it’s not because of her starring role in an upcoming biopic of Special Award winner Cilla Black… unless she went through a secret punk phase back in the day that we never heard about? Scandal! 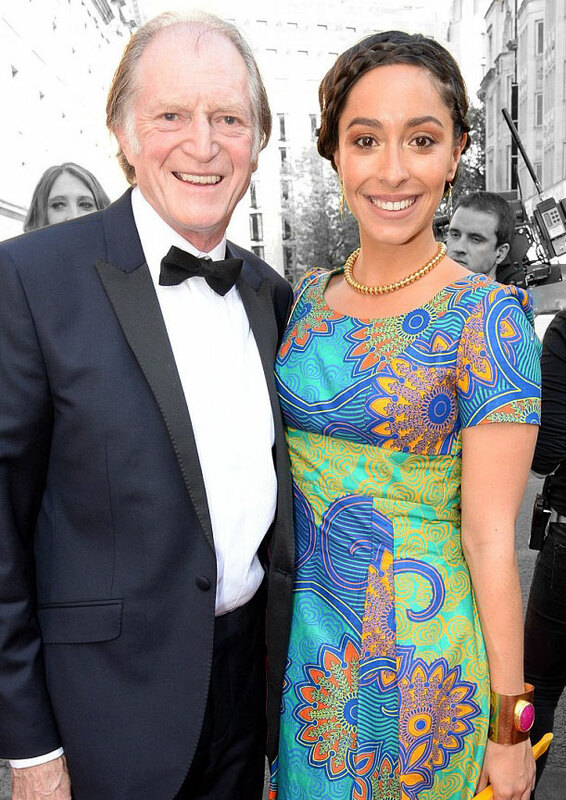 Oh, and I have to give a shout-out to David Bradley, who won Best Supporting Actor (for Broadchurch). I always think of him as ‘Stemroach’ from Ideal, but he’s been in so many great things over the years, from the Harry Potter flicks to GoT to Hot Fuzz to Wild West… so congrats to him! * The Daily Mail website identifies her as one of the worst dressed in attendance… but they won’t be happy until we’re all wearing black shirts! Ho ho. This entry was posted in Rants about TV and tagged Celia Imrie, Cilla Black, Doon Mackichan, Frances de la Tour, Helena Bonham Carter, Julie Walters, Katherine Parkinson, Olivia Colman, Oona Chaplin, Sarah Lancashire, Sheridan Smith, Shirley Henderson, The IT Crowd. Bookmark the permalink.